For those who are already on holiday or who are planning the next adventure, take note! 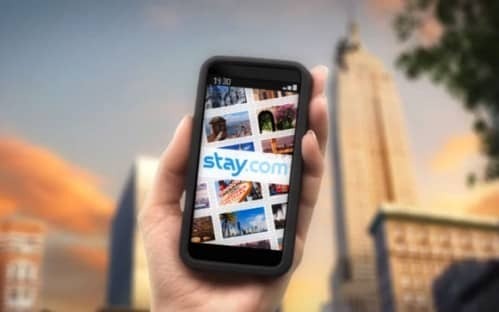 Stay.com, the site that allows you to create travel guides to share with friends and family, has updated its mobile features to include downloadable maps and offline guides. This means that even you can use them without an internet connection, you don’t have a big load up time, and you also avoid mobile charges. Fantastic. The guides are easy and super quick to download and are simply stored on your phone for whenever you need it. You can find travel advice from experts and fellow travellers, as well as hidden gem tips from friends and family. It’s a fully interactive map with 116 cities to chose from, and takes up minimal space on your mobile. Another cool feature is that the app can also be linked to Facebook – this enables you to personalise your guides with recommendations from friends so you can discover that awesome restaurant or shop that they have been raving about in Paris. Stay.com’s new features are a Tin It. Bon voyage!